Noor Mohammed , Bureau chief -From Qatar, it was not just winning their first ever Asian Cup, more or less this tournament has been as much as the geopolitical struggle in the region then football itself. To win the title on the soil of the United Arab Emirates, one of the countries to join with Saudi Arabia, Bahrain and Egypt in breaking off relations with Qatar in June 2017, is likely to feel even more satisfying for those in Doha and supporting Qatar team. On Friday, Qatar have won their first major football title by beating four-time champion Japan 3-1 in the Asian Cup final. Almoez Ali scored with a spectacular overhead kick for a record ninth goal of the Asian Cup to set Qatar on their way to a first continental title with a stunning 3-1 win over four-time champions Japan. Earlier,Qatar’s 4-0 win over the UAE in the semifinal was particularly difficult for the host nation to swallow.On the contrary, Qatari team had been showered with sandals and drinks bottles for the indiscretion of celebrating their goals when the locals finally turned out to support the UAE in the semifinals, only to witness a humiliating 4-0 defeat. There were almost no Qataris in the stadium to witness their triumph dueto travel because of a deep political rift with the UAE.With thousands of Omanis making the journey from the neighboring country to step in as proxy Qatari supporters. 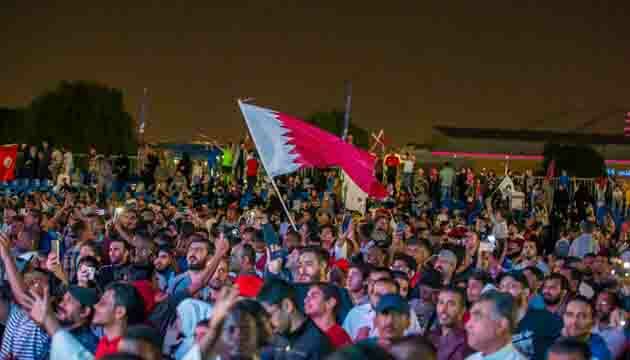 Back home in Doha, Thousands, predominantly expatriates had gathered at different venues cheering, clapping, whistling and dancing as Qatar win was confirmed. 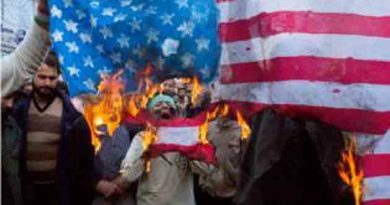 But all the results are proved even more embarrassing with royal welcome and street parade by jubilant fans in the capital, Doha. 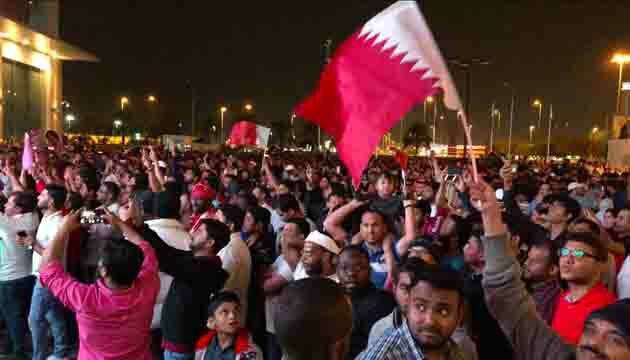 Thousands of Qataris and residents gathered in the capital Doha on Saturday to welcome their footballers home after their stunning Asian Cup victory against Japan.Fans holding national flags cheered and threw flower petals as the team waved to the crowd from an open bus on Doha’s landmark Corniche. In an ill manner, UAE downgraded Asian Cup 2019 closing ceremony after Qatar win. Not a single senior UAE official was present to hand medals to the victorious Qatar football team in the closing ceremony of the Asian Cup 2019.Had another team won, it is likely that UAE Crown Prince Mohammed Bin Zayed would have personally awarded the top prize in the continent’s premier prestige football event.The trophy was handed to Qatar’s winning team by FIFA President Gianni Infantino, while AFC officials were also well represented among the awarding party.Qatar had reached the semis by winning all five games without conceding a single goal. A young team – 11 of the roster 22 or below – grew in confidence, led by little-known Spanish coach Félix Sánchez Bas. 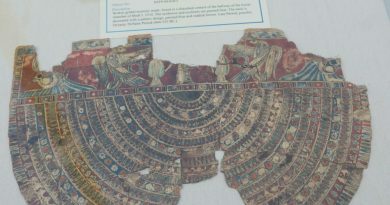 There was an earthquake shock when Qatar won the bid to host the 2022 FIFA World Cup in 2010, it sent strong tremors far-reaching across the established strongholds of football. Qatar Winning Asian Cup 2019 is an aftershock to much of its regions; if it not an earthquake. However, majority feels that sports and politics are separate and both should be dealt separately. As early as the conflicting parties understand the insight of it, it will be better for the development of sports, if not regional polities for the time being. 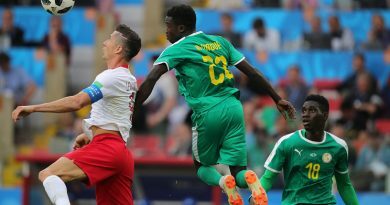 Senegal defeats Poland 2- 1 in a Group H match in FIFA World Cup match.